For the fifth time this season — and the fourth time in the last two months when you include the suspended game in Washington — the Yankees will play a doubleheader today. 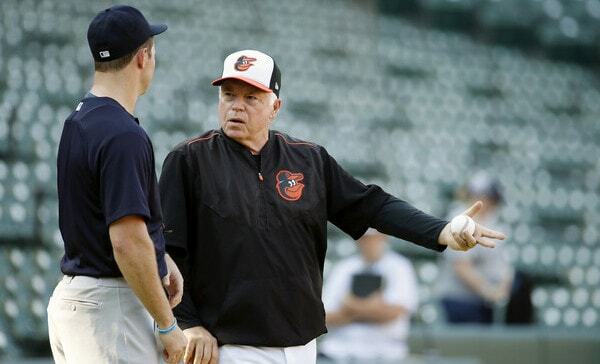 The Yankees and Orioles are making up their June 3rd rainout this afternoon. The night game is the regularly scheduled game. The afternoon game is the makeup game. It is a little cloudy with a nice dose of Mid-Atlantic heat and humidity in Baltimore today. There’s no rain in the forecast, thankfully. The weather will be fine for the doubleheader. The first game begins at 1:05pm ET and you can watch on YES locally as well as MLB Network and ESPN+ out-of-market. Enjoy. Roster Move: Luis Cessa has been called up to serve as the 26th man today, the Yankees announced. I figured that was coming. Sonny Gray is starting tonight’s game, so Cessa is the long man du jour. Injury Updates: Gary Sanchez (groin) did indeed start his minor league rehab assignment in the rookie Gulf Coast League today. Here’s the box score if you don’t believe me. Sanchez is playing today, he’s going to go through a workout tomorrow, then he’ll join Triple-A Scranton to begin about a “week’s worth” of rehab games Monday. No sudden change in the weather, so they’re good to go tonight. First pitch is scheduled for 7:05pm ET and WPIX will have the broadcast. Enjoy the ballgame.